NEW DELHI: Arvind Kejriwal swung into action on the first day in office after being sworn in as the seventh chief minister of Delhi. On his first day in office, Kejriwal worked for six hours and transferred nine senior bureaucrats, including the CEO of the Delhi Jal Board Debashree Mukherjee. Chasing his promises of a corruption-free Delhi with better civic amenities, the Aam Aadmi Party (AAP) leader held his first cabinet meeting, issuing a decree against government officials and ministers using red beacons in their vehicles. “No minister or official in Delhi government will use red beacons,” a top official said. After taking the oath of office and secrecy at Ramlila Maidan, Kejriwal and his six newly appointed ministers — Manish Sisodia, Somnath Bharti, Saurabh Bharadwaj, Rakhi Birla, Girish Soni and Satender Jain— headed for the Delhi secretariat via Rajghat, where they paid tributes to Mahatma Gandhi. He distributed portfolios among his ministers, keeping the key home, power, planning, finance, services and vigilance departments. He also met Delhi Police commissioner BS Bassi. Kejriwal arrived at Barakhamba in the heart of the city in a Delhi Metro train. From there, he headed for the swearing-in venue, Ramlila Maidan, in a car. Kejriwal on Monday had refused ‘Z’ category security after staking claim to the government. Kejriwal, who has promised to slash power tariff by 50% and provide free water to each household using 700litre a day, sought the help of people to root out corruption in Delhi. Delivering a speech after taking oath, Kejriwal pledged to fight graft with the help of Delhi residents. He, however, assured there would be no witch-hunting against bureaucrats. “I told bureaucrats to work with honesty. The bureaucracy is a bit worried. I told them that honest people need not be scared,” he said after the cabinet meeting. The Congress, the BJP and Left parties congratulated Kejriwal, hoping that the new government will “live up to the expectations”. 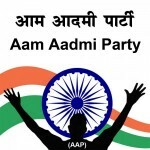 The AAP, with 28 legislators, depends on the outside support of the eight Congress MLAs to form a stable government. With 32 seats, the BJP is the single largest party in the 70-member House. The chief minister will have to prove majority by January 3. However, Kejriwal did not seem bothered about the floor test. “I’m not worried. This is a minor issue. If we don’t get it (majority), we will go for a re-election and win again,” Kejriwal said after taking oath.